On the morning of Feb. 26, the Sarasota County Commission will hold a public haring on proposed changes to the county’s Code Enforcement ordinance, in an effort to deal more effectively with illegal short-term home rentals. During their regular meeting on Jan. 29, the board members voted unanimously to set the hearing date; the item was part of their Consent Agenda of routine business items. The public notice they approved says the hearing will be conducted as soon as possible after 9 a.m. on Feb. 26; it will be held in the County Administration Center at 1660 Ringling Blvd. in downtown Sarasota. The current fine is $250 per day for the first violation, and it cannot exceed $500 per day for a repeat violation. During his presentation to SKA members, Osterhoudt provided an example of how the “irreparable/irreversible” finding could be applied. He pointed out that residents might be unable to sleep because of continued loud, late-night partying at a home rented illegally in their neighborhood. As Siesta’s Code Enforcement officer, Susan Stahley has cautioned, Osterhoudt explained to the Jan. 10 SKA audience that staff would need help from residents to try to convince the Special Magistrate of the gravity of situations before seeking the $5,000 fine. Documentation is key, he stressed, to county staff members’ proving their cases. If the commission approves the change in the ordinance, it would go into effect within days. County Zoning Administrator Donna Thompson has pointed out to The Sarasota News Leader that any revised ordinance must be submitted to the Office of the Florida Secretary of State for filing. After it has been recorded, she said, the revision becomes county law. During the Jan. 10 SKA meeting, as county staff members took questions about illegal short-term rentals, one audience member asked about the type of documentation necessary to prove a residence in a single-family district was being rented more often than once every 30 days, as provided for in the County Code. Emails exchanged between the homeowner or property manager and the renter are helpful, Susan Stahley, the Key’s Code Enforcement officer, responded. Sometimes, Stahley added, a person will give her a copy of the lease agreement. Still, as she and Matt Osterhoudt, director of the county’s Planning and Development Services Department, pointed out, a Code Enforcement officer has to have sufficient evidence to convince a Special Magistrate of a violation before the magistrate will impose a fine. Regular readers will recall that Siesta resident Lourdes Ramirez filed a civil complaint several years ago against another island resident, Robert Waechter. Her action focused on Waechter’s admission that he made campaign contributions in her name to Democratic candidates in the 2012 election. Ramirez, a Republican, went to the Sheriff’s Office in 2012 after receiving a thank-you note from one candidate; she suspected her identity had been stolen. Waechter ultimately pleaded guilty in December 2013 to a misdemeanor charge of using a prepaid credit card to make the contributions in Ramirez’s name. After Ramirez lost a bid in the 2014 Republican Primary for the District 4 seat on the County Commission, she filed the civil complaint. She alleged that Waechter’s actions had damaged her reputation and were a major factor in the election results. Last fall, a 12th Judicial Circuit Court judge dismissed her case and denied Ramirez’s motion for a rehearing. Additionally, Waechter’s attorney, Morgan Bentley of Bentley & Bruning in Sarasota, had filed for attorneys fees and costs in the Circuit Court case, which were put at close to $40,000. Ramirez decided to appeal the dismissal of her case to the Second District Court of Appeal in Lakeland. First, though, Ramirez and Waechter agreed to “have the entire case mediated before any more proceedings are had,” as their joint motion put it on Nov. 6, 2018. 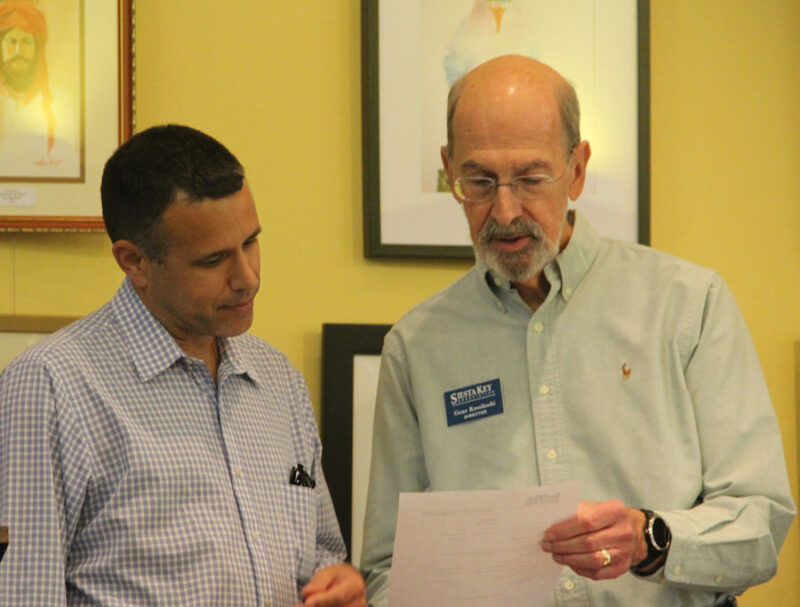 The mediation conference was conducted on Dec. 14, 2018 in Sarasota, a subsequent court document shows. On Dec. 26, 2018, a voluntary dismissal of the appeal court case was filed. The News Leader just recently learned of the resolution of the case. When it asked if she had any comment, Ramirez replied in a Jan. 31 email that all the details about what was discussed during the mediation — including the settlement — had to remain confidential. She was surprised, she added when she learned that, but her attorney — Jose A. Gutierrez of the Cosio Law Group in Coral Gables — explained to her the applicable state law. After the News Leader included a report in this column on Feb. 1 about a lighting system having been installed at a new crosswalk on South Midnight Pass Road, the vice president of the Siesta Key Association (SKA) offered an even fuller explanation about the origin of that project. During the Jan. 10 SKA meeting, Catherine Luckner pointed out, Assistant County Administrator Brad Johnson was present for a program about the county’s handling of illegal short-term home rentals. Johnson apparently was paying close attention when a resident of Bay Tree Club on South Midnight Pass Road asked Sgt. Paul Cernansky, leader of the Sheriff’s Office substation on the Key, for recommendations on steps residents could take to stop people from speeding through the crosswalk, even when pedestrians were in it. The result, of course, was the installation of the system that allows a pedestrian to push a button and activate lights when the pedestrian is preparing to use the crosswalk. Bay Tree Club residents were thrilled. Siesta property owner, manager and hotelier Michael Holderness has demanded a jury trial in a case involving his fellow Siesta resident, Mike Cosentino, the News Leader has learned. 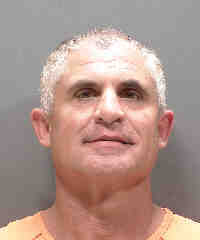 The Sarasota County Sheriff’s Office charged Holderness with two felony counts after he allegedly grabbed Mike Cosentino’s iPhone from Cosentino and attempted to delete video on it that Cosentino had taken, showing Holderness confronting Cosentino near Beach Access 2 in late December. Cosentino told the Sheriff’s Office he was afraid Holderness would try to strike him with the truck Holderness was driving. Cosentino was in the middle of removing sand from the county right of way on North Beach Road. Holderness was charged with one count of Robbery by Sudden Snatching without a Firearm or Weapon and one count of Tampering with or Fabricating Physical Evidence after the Dec. 31, 2018 incident, the Sheriff’s Office report said. In a motion filed on Jan. 10, Holderness waived a formal arraignment in the 12th Judicial Circuit Court and entered a plea of “Not Guilty,” a court document shows. Sarasota attorney Varinia Van Ness, who has an eponymous law firm located on Washington Boulevard in Sarasota, is representing Holderness, court records also note. The Van Ness Law Group website says its areas of practice are criminal law and DUI and traffic cases. The website also notes that Van Ness, a native of Colombia, worked in the Office of the State Attorney in Sarasota from 1991 to 1998. 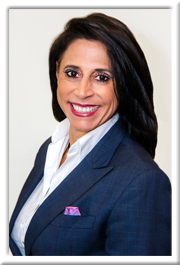 She founded the law firm in 2001, the website adds. Van Ness’ LinkedIn account says she also is an owner/shareholder in the Vascam Realty Group, which owns “multiple duplex apartments for rent in the area of Sarasota, Venice and Bradenton, Florida.” The realty group filed its incorporation papers with the Florida Division of Corporations on July 25, 2003. W. Scott Van Ness was listed as the registered agent, using the same address as the Van Ness Law Group. Just six days later — on July 31, 2003 — a document was filed with the Division of Corporations, changing the company name to Vascam Realty Group LLC. Scott Van Ness again was listed as the manager. 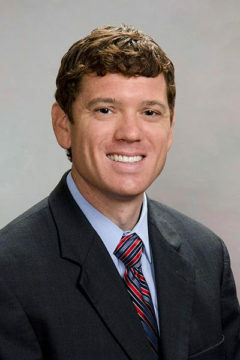 Mike Holderness is the registered agent for a number of companies, according to the Division of Corporations. Among them is SaraBay Real Estate Inc., whose offices are located at 7333 N. Tamiami Trail in Sarasota. He also owns the Siesta Key Beach Resort in Siesta Village. As part of their approval of their Jan. 29 Consent Agenda of routine business items, the county commissioners unanimously appointed Nancy D. Connelly, owner of Crescent Beach Grocery, to a four-year term on the county’s Historical Commission, an advisory board. Her term is effective through Jan. 31, 2023, the county website says. A memo to the commission from Sarabeth Kalajian, director of the county’s Libraries and Historical Resources Department, noted that, because of vacancies and one recent resignation, seven of the 16 seats on the Historical Commission needed to be filled. The Historical Commission’s role is to advise the County Commission in regard to “the acceptance of grants and donations; the marking of historic sites with County historical markers; the History Center annual budget; and historical material and dates,” its webpage explains. The council members typically meet once a month, the webpage says. In the answer to another question on the form, Connelly noted that she reopened Crescent Beach Grocery in 2003; her father, George Connelly, established the business in 1952. “I am also owner of Crescent Beach Shopping Center at the corner of Midnight Pass and Stickney Point Roads,” she pointed out. 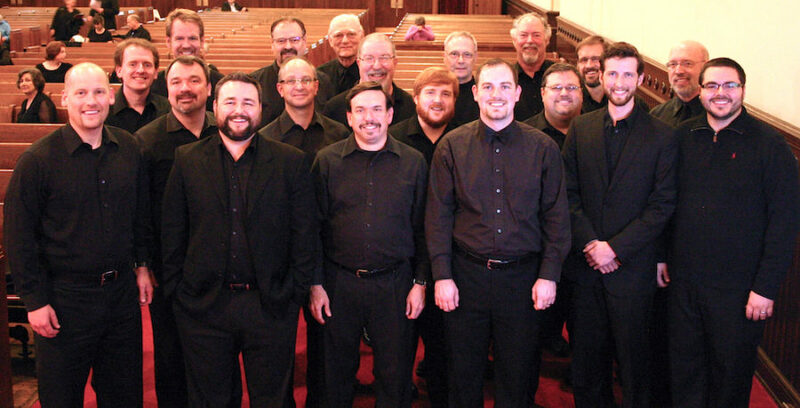 On Saturday, Feb. 23, at 7 p.m., the Siesta Key Chapel Arts Series will present a concert by Voci Virili, a professional men’s choral ensemble of singers and conductors based in East Tennessee, organizers of the series have announced. Directed by former Sarasota resident Harv Wileman, “this concert will feature music for male voices by Palestrina, Tallis, Fauré, Rachmaninoff, Manz, and Vaughan Williams,” a news release says, as well as arias by Handel, Mozart, Mendelssohn and Puccini. A donation of $10 per person is requested at the door. For more information, contact Cynthia Roberts-Greene at 349-1166 or visit www.siestakeychapel.org. At 3 p.m. on March 12, the Siesta Key Condominium Council (SKCC) will host a special meeting on red tide, the organization has announced. 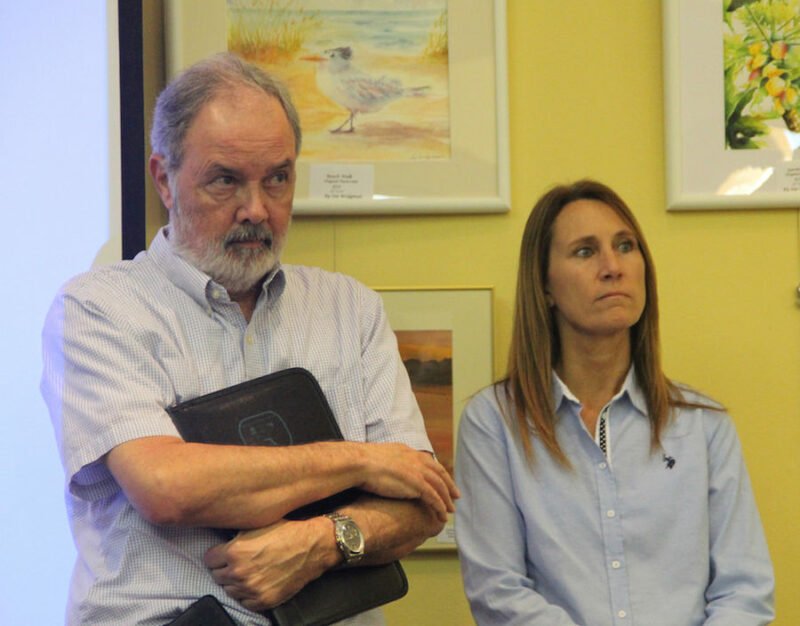 A group called the Longboat Key Revitalization Task Force, which has been working on ideas about how to mitigate red tide blooms, has agreed to present its findings to SKCC officers and members, the email blast adds. In programs for a number of Sarasota organizations, the email blast continues, the Longboat group has put its focus on what governmental bodies can do to improve water quality. The task force has cited the cleanup of Chesapeake Bay “as an example of what a consolidated effort can produce,” the email blast points out.